Classics are eternal. 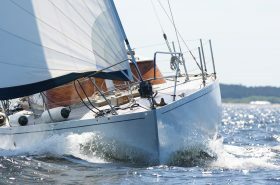 If you have three hours to spare and wish to board a sailing yacht in regal style in Central Riga, then this is the best route you can choose. 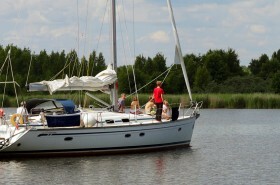 It will take our sailing yacht about one and a half hours to cruise to the point where the Daugava Estuary flows into the sea or, more precisely, the Gulf of Riga. 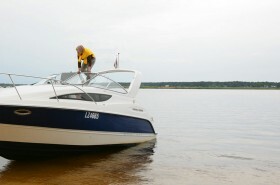 Therefore, the combined journey to the Daugavgriva breakwaters followed by the return cruise to Andrejosta or Kipsala will take about three hours. If you also fancy spending some time relaxing on the sea shore, we recommend choosing the five hour route. This will put the icing on the cake as far as the success of your journey is concerned. 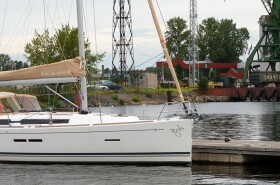 We will board the yacht in Central Riga – at either Andrejosta or Kipsala Yacht Club and head towards the refreshing air of the Gulf of Riga. During the 90 minute outward journey, you can savour the rugged charms of Riga Commercial Port including cranes, containers, ships, coal and log piles and fuel tanks. If port views are not your cup of tea, then this will be the perfect time to open your hamper, tuck into your culinary delights and let the champagne flow.  Meanwhile, favourable wind direction permitting, the captain will unfurl the sail. 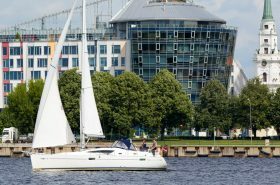 The industrial landscape and typical port noises you will experience as you cruise along this 7.6 nautical mile (~14 km) long section of the right bank of the Daugava will leave you in no doubt that you are in the very heart of the country’s economy. Depending on the wind direction, the ethereal nuances of Moët & Chandon or Veuve Clicquot will occasionally be complemented by the irresistible aromas of isobutanol, acyrilnitril or other chemicals. These atmospheric sensations make this a truly authentic port tour. On the left bank, the imposing infrastructure of the Riga Commercial Port alternates with the more natural views of Spilve fields. You will see the odd private house on the shore, offering a reminder of days gone by, especially on calm and tranquil evenings. 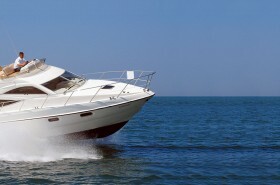 Cruising along the river, you will be passed by ships, yachts and pilot vessels. If you are lucky, we will also see a behemoth entering or leaving the Daugava like the Tallink ferry, which departs Riga every evening around 18:00. 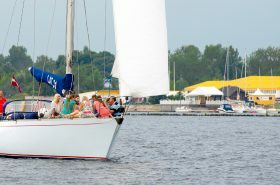 As you pass beyond the Bullupe and the Love Isle and approach the Daugavgriva breakwaters, your nostrils will fill with the aroma of pine trees as you cast your gaze on more natural shores, the Daugava breakwaters and the upright Daugavgriva Lighthouse. Meanwhile, the left bank of the river will be occupied by anglers’ boats. 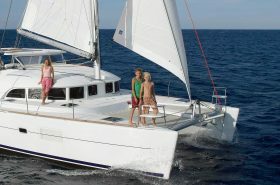 However, these are the quirks of both sailing and the geography of Riga, which occasionally compel you to spend more time on the yacht than you’d originally planned or to choose a cruise nearer the Gulf of Riga from Bolderaja or Mangalsala. Look at it this way… You have a wealth of options!